It’s Strawberry time! We picked some yesterday and they are pretty darn delicious! 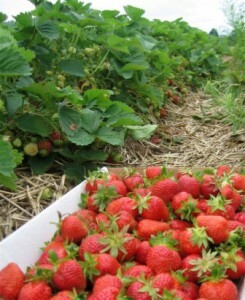 We will have them picked fresh for you this weekend. I will be making more of my Strawberry Balsamic jam this week to have on hand as well. 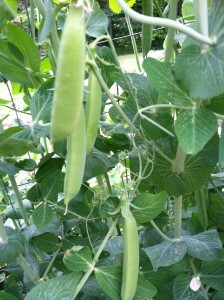 Kenny will have some beautiful sugar snap peas, cabbage and asparagus on Saturday. We will have more greens available… spinach, kale, Swiss Chard, mixed baby lettuce and Black Seeded Simpson (great lettuce for wilting). We will also have rhubarb, radishes, green onions, fresh cut mint and cilantro again this week. With all the great sales of herbs this year we are limited to the amount of rosemary and tarragon we will have available. We still have plenty of other fresh herbs… basil, parsley, cilantro, dill, oregano, sage, thyme, stevia and mint. I will continue to bring them for another week or two.